Brad Pattison’s approach on the Slice Network’s At the End of My Leash uses tough love to exercise control and train unruly dogs and their owners. After watching many seasons of the show, as a dog lover and owner, I’ve often stopped and asked myself “is this going too far?” However, after beginning to follow host and dog trainer, Brad Pattison’s blog on Slice’s website, I’m starting to believe the acclaimed dog expert has a softer exterior than it appears with the network’s creative editing. 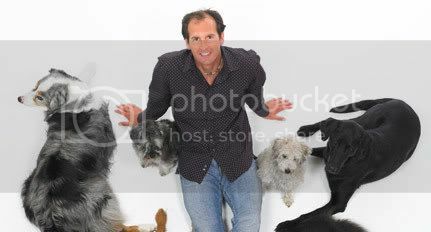 I’ve always been bothered that the show focuses more upon Brad Pattison’s strong-armed approach to dog training, taking bits and pieces to implement with my dogs in my own home, and casting aside the methods that appear overly harsh. However, it’s very rare that the show offers a full explanation of why Pattison chooses breed and behavioral specific methods to correct the behavior of owners and their poorly trained pets. Brad Pattison’s blog, which is available on the Slice website, provides a synopsis of each episode of the show and also introduces the specific behaviors of the dog that lead to his choice of dog training methods, which are most often lacking on the TV show. From reading renowned dog trainer, Brad Pattison’s blog from Slice’s At the End of My Leash, I’ve found that, not only am I able to fill in the blanks when it comes to dog training missing from the episodes, I’ve also learned the man has a heart. It’s clear to me now that Brad Pattison may believe in tough love for both the dog owners and their beloved pets, but he cares a lot more than the show’s editing wants you to believe. Slice’s use of blogging as a social networking tool gives users more insight into the ins and outs of series At the End of My Leash.